Galway pop/rock band Rofi James will play an energetic showcase in The Cobblestone, Dublin as part of their winter Helium EP Tour. Support on the night from Cork/Dublin singer-songwriter Dan Elliott. Rofi James are a pop/rock band from Galway city. The band first formed when lead singer Ronan Flaherty and drummer Jamie Murray took to the cobbled streets of Galway city with a mutual interest in busking and in songwriting. The band would later be called ROFI JAMES – a portmanteau of Ronan’s nickname “Rofi-J” and Jamie’s actual name, “James”. Now a quartet, including Ronan(Rofi), Jamie (James), Cathal Leonard and Joseph Flaherty – Rofi James have been gathering a strong following in the West of Ireland and beyond after the success of their debut singles ‘Fool For Your Love’ , ‘Open Eyes’ (with Best Single nominations) and follow up single ‘Reason’. The band have played several high profile support slots with established acts including Picture This, WILD YOUTH, Hermitage Green,The Riptide Movement and Ryan Sheridan to name but a few. The band recently played a number of summer festivals including Electric Picnic, OTB Music Festival – Buncrana, and also co-headlined Riverfest 2018 in Shannonbridge alongside LE GALAXIE and Hermitage Green. The Galway men have had several sell-out headline shows in venues such as The Loft Venue Galway, following their debut appearance at Electric Picnic. The bands music has received national radio play, while placed on High Rotation on several radio stations across the country; the debut single ‘Fool For Your Love’ was one of the Top 10 Most Requested Tracks in February 2017 on iRadio, and their second release ‘Open Eyes’ was selected as a winning track in the RTÉ 2fm #PlayThePicnic competition 2017 and was also nominated for Best Single of 2017 at the Pure M Awards. The bands third release ‘REASON’ hit NO.3 in the Radiomonitor Breaking Irish Music Airplay Charts alongside All Tvinns, U2 and Chasing Abbey and was featured as Song Of The Day by JOE.ie, HOTPRESS.ie and IMRO.ie following its release in December 2017. The track was placed on heavy rotation on multiple radio stations nationwide. Rofi James were also named ‘Galway Band of The Year 2017’ by The Galway Advertiser. 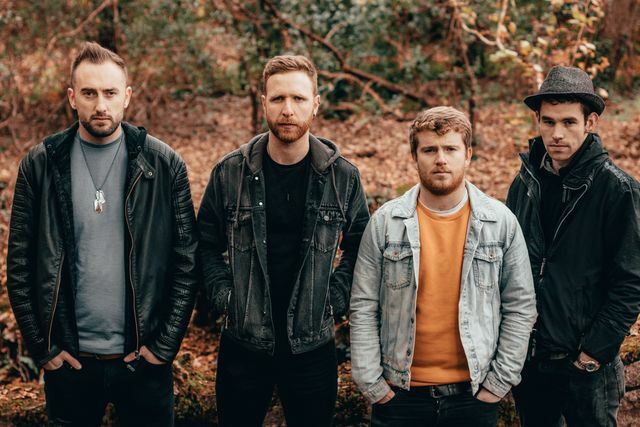 On November 9th 2018 Rofi James released the brand new single ‘I TRIED’, the fourth release to date by the Galway pop/rock band. ‘I Tried’ is the first single from the Brand New EP titled ‘HELIUM’ – Available November 22nd across all digital/streaming platforms. The track is currently receiving national airplay on RTÉ 2FM, Red FM, iRadio, Galway Bay Fm, Beat 102 103 – and the band will soon hit the road for their HELIUM EP Tour beginning December with dates in Galway, Dublin, Donegal and Offaly.